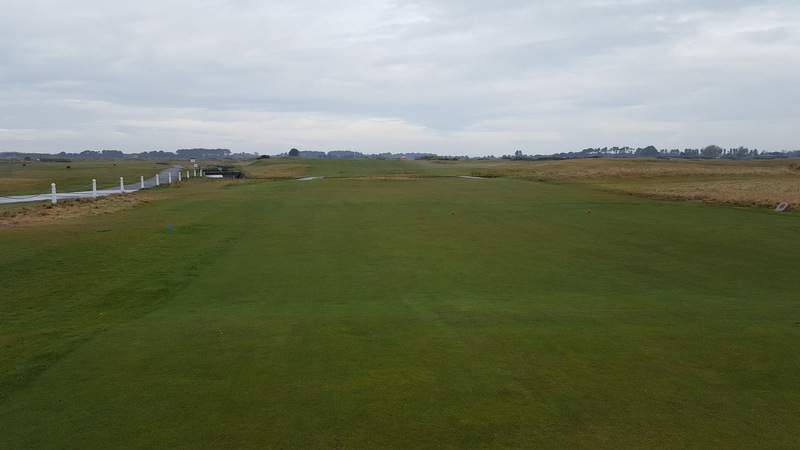 The opening hole is always tough to get right – for player and designer – but Carnoustie is a blueprint for success. Stunning views out over the sea, with the glorious hotel in the background and the burn to the right acting as a warning of what is to come, players’ nerves will ever so slightly be levied by the relatively wide fairway, but still need to make a solid swing. The second shot is one of the few blind strikes players need to size up – the large green makes it less daunting. When you get to the putting surface, take a second to marvel at the quality. An unblemished dance floor, with subtle undulations and breaks galore. It’s the thing of golfers’ dreams. This is seen throughout the 18, with each patch of short stuff almost constituting a work of art. The fourth hole throws up the only double green, a quirk most golfers adore. It also allows you to meet another group on the green, an apt time to eulogise on Carnoustie. After a few doglegging holes, the front none crescendos to its forte, the par-five 6th – known as “Hogan’s alley”. The famous layout is named after Ben Hogan, who won the 1953 Open at Carnoustie, and poses out of bounds and numerous bunkers off the tee. 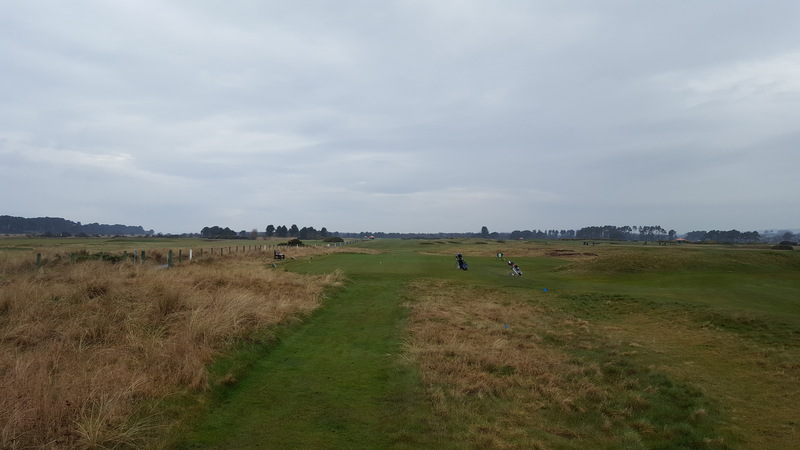 It’s a tantalising risk and reward, with players needing to skirt with out of bounds for the best approach – never easy when the wind is blowing towards danger. It’s the starting pistol for Carnsoutie – this is when the test truly begins. The 8th hole is our favourite par three, requiring players to find an elevated green with a bunker to the right and out of bounds to the left. When the wind is up, three jabs is a solid score.